Many computer users never even think to perform operations such as saving work or making a text selection bold using a keyboard shortcut. However, these nifty little tricks can actually save quite a bit of time, especially if you are working in a program that you’re not very familiar with or aren’t sure of the location of menu options. 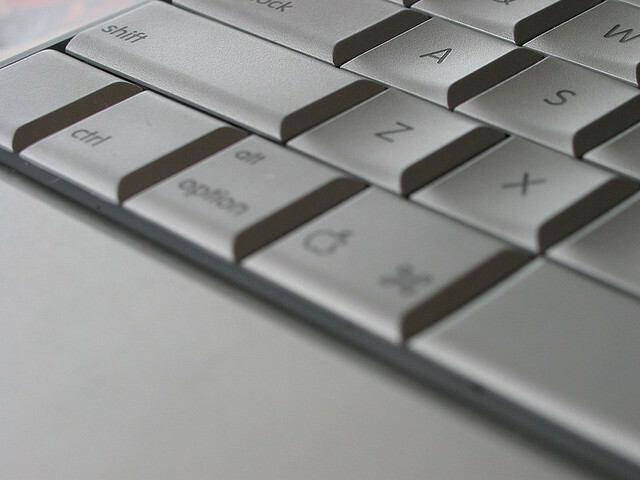 To perform a keyboard shortcut, you press two, three or sometimes four keyboard keys at once. These shortcuts work across almost all programs and work even on Macs— you just use the CMD key instead of the CTRL key. Here are a few essential ones to know. Many programs include auto-save features that save your work every few minutes. However, it is a good idea to manually save your work every so often, just in case. Also, not every program has this feature, so being in the habit of manually saving your work can end up saving you a lot of trouble in the long-run. Using the keyboard shortcut allows you to keep your fingers on the keyboard and still ensure that you won’t lose anything in the event your computer or the program you’re working in crashes. One of the best parts of using a computer to enter content whether it be text or photos is the ability to undo a mistake quickly and painlessly. Using the CTRL+Z shortcut, you can do just that. Hitting CTRL+Z several times will often undo the last several changes. If you back too far, hit CTRL+Y to Redo. For those who do a lot of copying and pasting, the keyboard shortcuts are a big time-saver. Just use the mouse to select what you want to copy, hit CTRL+C, click the mouse where you want to paste, and hit CTRL+V. If you want to move something instead of copy it, you can use CTRL+X (Cut) instead of CTRL+C. If the text on a website or other program is too small, instead of squinting, simply hit CTRL++ (plus sign) a few times. This will increase the zoom level in most browsers and some programs. If your computer freezes and no amount of mouse clicking is helping, you can hit CTRL+ALT+DEL. This either brings up Windows Task Manager, or a list of options including Task Manager. Using the Task Manager, you can quit and restart programs that sluggish or unresponsive. If you are using a Mac and a program freezes, press the CMD+OPT+ESC keys, select the unresponsive program and force quit. Then you can restart the program to get back to work. Ctrl+A selects everything in a window. Ctrl+B makes the selected text bold. Ctrl+F will help you find a word in a document or web page. Ctrl+P is the shortcut to print a document or selection.